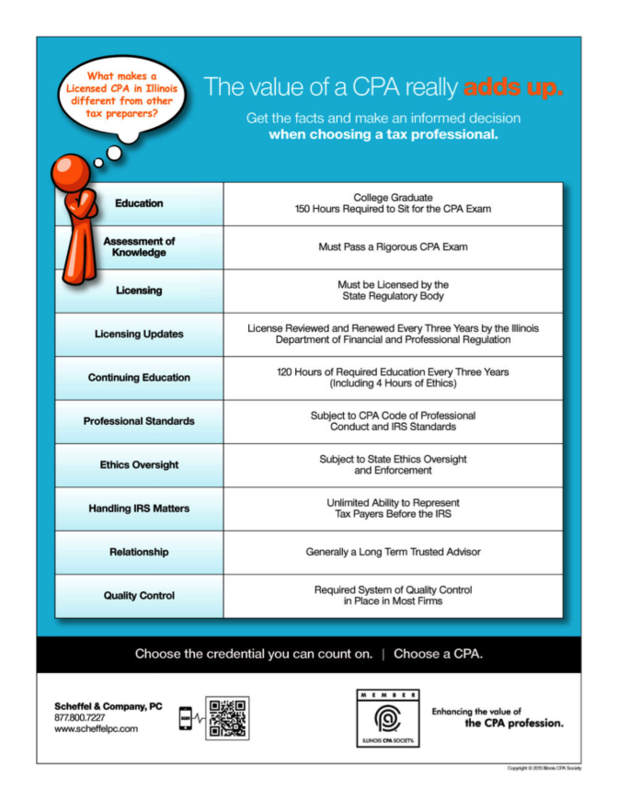 What Makes a Licensed CPA Different from Other Tax Preparers? https://scheffelboyle.com/wp-content/uploads/2018/06/shceffel4.png 870 672 jordan@bonniburns.com https://scheffelboyle.com/wp-content/uploads/2018/02/ScheffelBoyle_WebLogo_Test2.png jordan@bonniburns.com2013-02-07 09:37:352018-07-31 10:44:00What Makes a Licensed CPA Different from Other Tax Preparers? Serving St. Louis, the Metro-East and Southwestern Illinois since 1924.